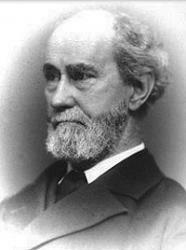 Today in Masonic History we present The Five Points of Fellowship by Robert Morris. All our points of fellowship. Speak of whispering the unruly. Hasten, bear him quick relief! Quick with heart's deep sympathy. Lord, give listening ear this day! For all tempted Masons pray! Bless them when about to die! Suffer, die, but never yield. Even at the stroke of death. Quick, before it is too late. Hold the faltering brother up. Hold him with the lion's grip. Of the dark and deadly sin. Save him with fraternal care. As you'd have your God save you. Foot and knee, breast, hand, and cheek.